When the US version of The Office premiered in the spring of 2005, I wasn't sure that I would like it. I was a fan of the UK version and so I gave the US version a chance but I was worried that remaking the show would ruin it. The first season was only six episodes and, though for the most part they were good, I wasn't sure that the show would make it through another season. That summer Steve Carrell starred in The 40 Year Old Virgin and suddenly everyone knew who he was. I think that really helped The Office gain an audience. 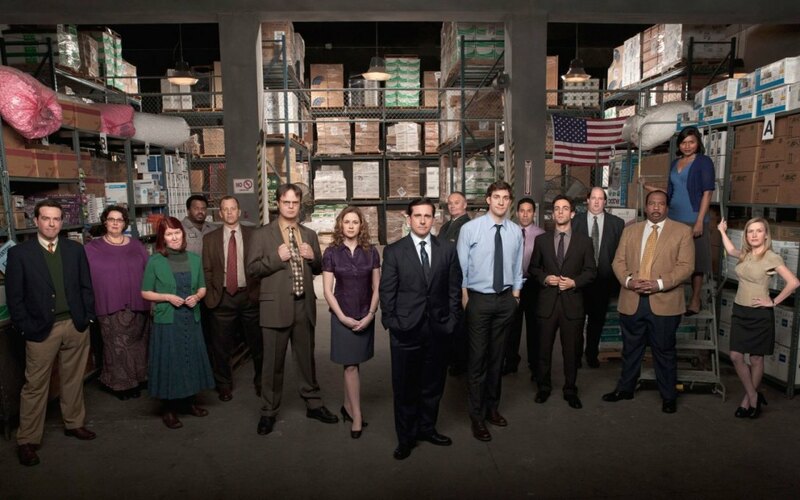 The second season was a vast improvement on the first as they stopped trying to copy the UK version and let the US Office become its own show. For the first few seasons, I was only a casual fan of the show. I'd watch it (though usually not live) and I bought the DVDs but that was about it. Then near the beginning of season 4 (2007-2008), NBC launched the online game/social networking site DunderMifflinInfinity.com to coincide with the second episode of that season, titled "Dunder Mifflin Infinity." NBC aired ads for DunderMifflinInfinity.com (I'll call it DMI for short) during several episodes. I saw one of the ads, thought it sounded fun and went online to join. The way DMI worked was that you signed up, created a username, then applied to join one of around 200 (later downsized to 100) virtual branches set up in locations all over the world. Each branch was run by a Regional Manager (RM), a volunteer nominated for the position. Originally I applied to the Flagstaff, AZ branch because that what the closest branch to me in real life. That didn't work out, however, because the RM had to approve your application before you could join. After a day or two of waiting without being let in, I started searching the NBC forums for more information. I came across a post from the RM for the Ypsilanti, MI branch promising to approve any and all applications so I applied there and got in. DMI Ypsilanti's colorful logo, designed by employee michigankathleen. Once in the Ypsilanti branch, we got to know our fellow branch members via online forums and competed with other branches on tasks given to us by NBC, which usually revolved around that week's episode. We would earn fake money called Schrutebucks for completing tasks and winning competitions. The goal was to earn the most Schrutebucks, both individually and as a branch. It was fun for a very short while and then in November of 2007, the Writer's Guild Strike happened. There were no new episodes from November 15, 2007 to April 10, 2008 and many people lost interest and drifted away from DMI, including Ypsilanti's RM. When the show finally came back in spring 2008, there were still a few people in our branch but we had no active RM. 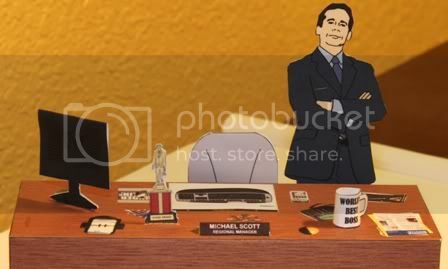 That issue came to a head with the April Fool's Day task, which was to create a fake version of NBC's Office website to replace the real one on April 1st. The task required the branch to work together as a group to make the fake site and our non-existent RM was the only one who could submit our work to NBC. Luckily we weren't the only branch with a missing RM so together we were able to ask the higher-ups to let the branches with inactive RMs choose new ones. I don't really remember exactly how it went down, but I think I got the job because I was already organizing the April Fool's Day task and was the only one willing to volunteer. This may sound crazy to most people, but I took my fake job very seriously. I spent the next four years with the equivalent of a part time job. If only I had gotten paid! What did I do? I moderated the forum. I organized our own in-branch competition that ran alongside the main one. I created games, challenges, puzzles and trivia contests for my "employees." I learned how to Photoshop stuff and how to make animated gifs for profile photos and forum signatures. At the end of every Office season, I held a video awards ceremony for my branch. I organized summer games to keep everyone interested during the months with no new episodes. I used my own money to buy prizes for my employees. The Ypsi, DMI Ypsilanti's version of the Dundie. Based on Ypsilanti's famously phallic water tower. I don't know how many times I turned down going out on a Thursday night so I could stay in and chat with my DMI friends before a new episode. When my husband scheduled a work dinner during chat time that I was required to go to, I used my phone to chat under the table and in the bathroom at the restaurant! I traveled to Michigan twice to meet up with members of my branch. I made t-shirts for us. I organized a party for the premiere of season 6, calling every bar and restaurant in Ypsilanti and Ann Arbor until I found one that would let us reserve a room with a TV. Then when I called to confirm two days before the premiere, they told me that they couldn't let us watch it because all their TVs had to be tuned to the same channel, which had to be sports (damn you sports!). Thankfully one of our employees came through and let us have the party at her house. Yes, I went to the house of a stranger I met on the internet. I met a lot of internet strangers during my time at DMI, many of whom are still my friends, online and off. - Making paper dolls - and desks! - of several Office characters. 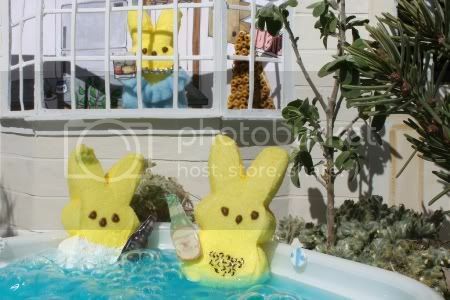 - Creating a Marshmallow Peep diorama of Michael Scott and David Wallace in a hot tub for a contest. I won and even got a compliment from Andy Buckley, the actor who plays David Wallace. The Peepified version of the "Hot Tub Wallace" scene from the episode "Sabre"
- Creating probably the most disgusting Jello shot ever, the PB&J. 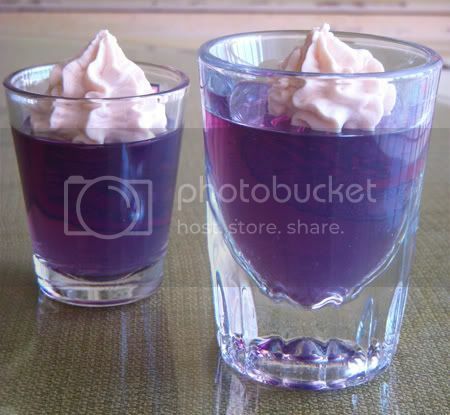 Named after The Office's favorite couple, Pam Beesley and Jim, it was a grape jello shot topped with peanut butter-flavored whipped cream. From the start, DMI was plagued with problems. The site never worked quite right and there were ALWAYS glitches. At times it was frustrating and many people quit because they were unable to participate thanks to the bugs. It didn't help that NBC was always trying to change things up just when we thought we had it all figured out. In the fall of 2010 at the start of season 7, they decided that the old DMI site wasn't doing it for them and moved us all to a new site, Dunder Mifflin Sabre. The new site came with all-new glitches. That began the slow steady decline of DMI (now DMS, but I'm going to keep calling it DMI). At the end of season 7 participation was down but there was still a good number of active people. We kept ourselves amused over the summer while we waited for our fifth year of DMI to start in the fall. As the beginning of season 8 neared and we heard nothing from NBC, we grew worried. Our worst fears were realized when there was a note from "Corporate" on the home page saying that they were no longer supporting the site and that all branches were being dissolved. The forums were left open so we could still talk to one another, but all the tasks and Schrutebucks were gone. NBC tried to get us to switch over to their new game "fanit" (which was for all their shows, not just The Office) and was even glitchier than DMI (it's now defunct too). The Ypsilanti branch valiantly tried to keep things going by continuing our mini-tasks and forum competition but by January of 2012 only a handful of people from Ypsilanti were still logging on. By the start of the ninth and final season of The Office, there were only three or four people regularly logging into any of the DMI forums. By the end of season 9 NBC has completely shut down the forums. Throughout all of this, a core group of four or five of us continued to chat every Thursday before a new episode. It's all coming to an end tonight, when the last episode of The Office airs. It's sad that it's ending, but I think the time is right for us to move on to other things. Sometimes I find myself thinking, "Why did you waste five years of your life on a silly game?" But then I think back to all the things I never would've done if it hadn't been for DMI. I never would've animated a movie. I never would've gotten a compliment from Andy Buckley. I never would've learned about geocaching. I never would've parkoured at an apple orchard or seen the famously phallic Ypsilanti watertower. I never would've made the amazing friends I've made. None of it was a waste. I do wish I could somehow turn all those years of "work" experience into a real job. It's too bad there aren't any real jobs as fun and rewarding as being the manager of a fake paper company. BEST BOSS EVER, hands down. I've said that DMI and The Office changed my life, but there's no way on earth that I would have stayed interested enough to stick around if not for you, and I will never regret one moment I spent in that forum and getting to know you and the others.